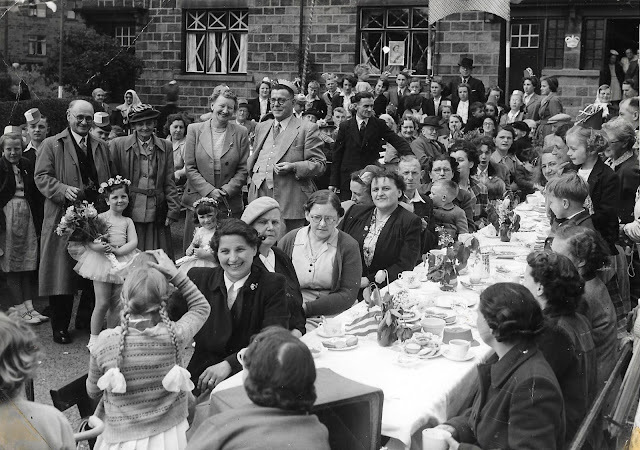 Residents in the Howden Road area are pictured at a Weatherhead Place party to celebrate the coronation of Queen Elizabeth II in June 1953. Standing third from left is well-known local benefactor Mrs Duncan Smith, whose husband (next to her in the waistcoat) was a Bradford textile manufacturer. They lived at Arncliffe in Howden Road, and later at a bungalow built for them in the grounds. Mrs Smith's first name was Amy but she was always known by her husband's name as Mrs Duncan Smith. Photograph from the late Neil Cathey's collection. 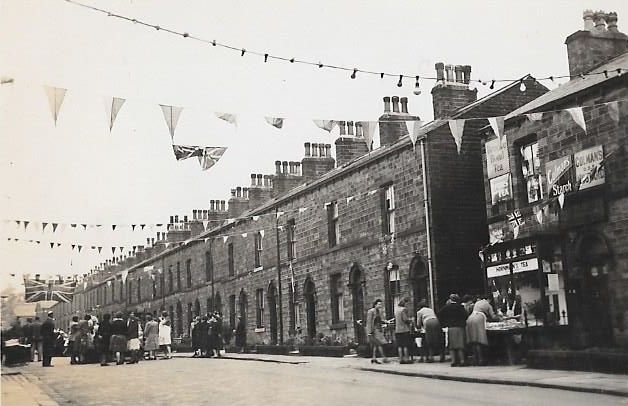 Coronation Day 1953 in Tufton Street. 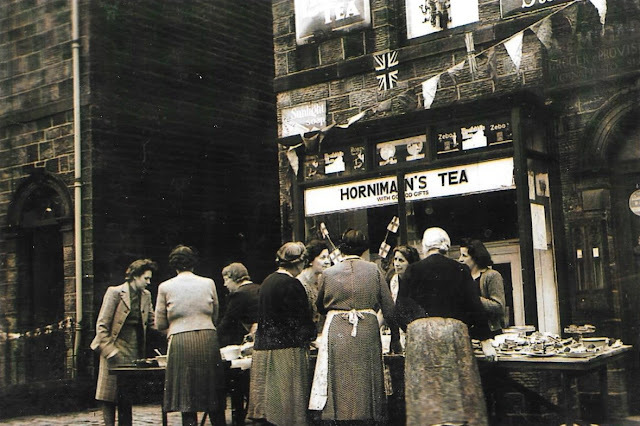 The shop by the cobbled passage halfway along the street will be well remembered by older Silsdeners. A wider view of Tufton Street decked out for the occasion. 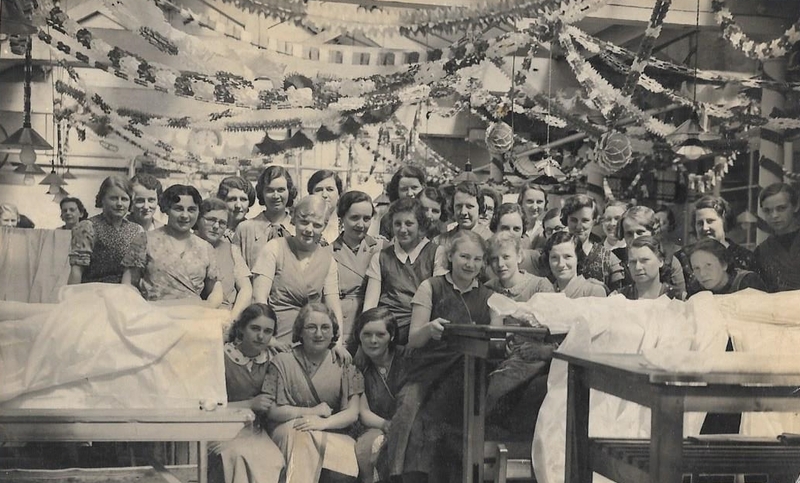 Abundant bunting at Knox's mill as workers celebrate the coronation of George VI and Elizabeth Bowes-Lyon as King and Queen in May 1937.